❀◕ ‿ ◕❀ Alyza's Story ❀◕ ‿ ◕❀: [News] Kim Hyun Joong will have a special cameo on ‘Dream High’ drama. 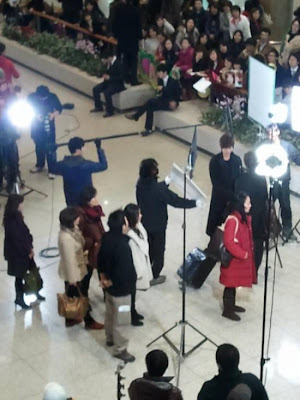 [News] Kim Hyun Joong will have a special cameo on ‘Dream High’ drama. Kim Hyun Joong will have a special cameo on ‘Dream High’ drama. ‘Dream High’ is a new drama is produced by Bae Yong Joon and Park Jin Young (JYP) that is set air on January 3rd 2011. 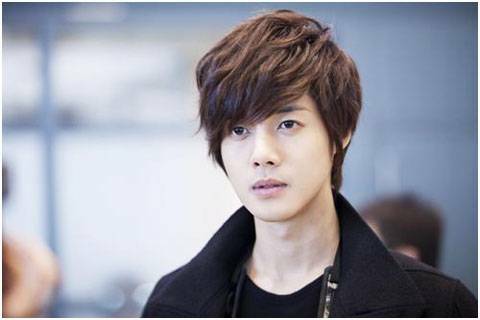 Kim Hyun Joong will play the role of a star actor who is finally going back home after his overseas activities. 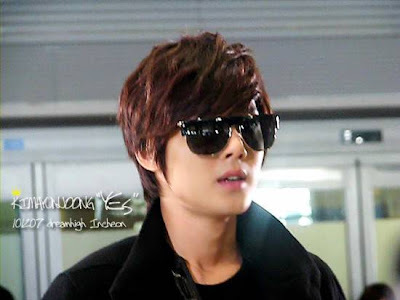 The first scene was filmed at the Incheon international airport on December 7 in which Kim Hyun Joong meets Bae Yong Joon who is the chairman of Kirin Art School. This cameo also marks the first time that Kim Hyun Joong and Bae Yong Joon will act together in a drama. Kim Hyun Joong joined Hyun Joong agency not long ago, and according the drama staff Bae Yong Joon monitored Hyun Joong acting pretty carefully and also gave him so advices during the filming. The production also reported that the filming was actually a secret to avoid the presence of too many people at the site, however a large group of fans found out about it and visited the airport. 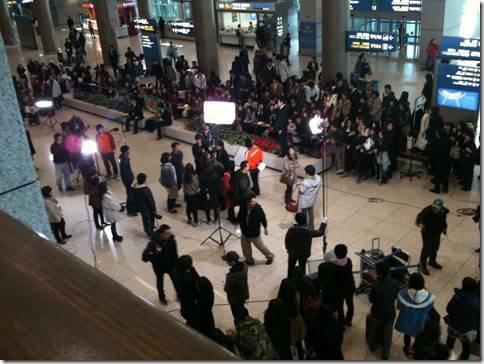 The entrance of the airport was almost blocked since the fans were waiting there form the early morning. The popularity of these two starts is really amazing and we are sure that Kim Hyun Joong will become a great actor with Bae Yong Joon’s guidance.